Researchers just found a new magnetic material, Ruthenium, which could provide new manufacturing opportunities in computing, engineering, and scientific experimentation. Material scientists have demonstrated the magnetic properties of ruthenium at room temperature. This makes ruthenium the fourth single magnetic element in nature ever discovered. Like with electricity, we can’t see magnetism, but we can observe its effects and, more importantly, put them to use. Magnets have been exploited since ancient times mainly in navigation, like sailor compasses, always pointing to our magnetic North Pole. 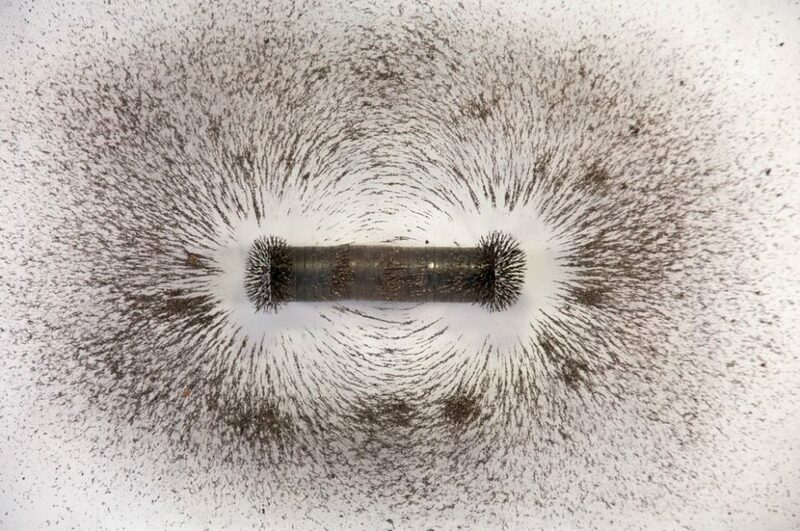 The first book on magnets De Magnete, William Gilbert, appeared four centuries ago. Electromagnetism itself was discovered back in 1820 by Hans Christian Oersted. Since then, only three elements that exhibit ferromagnetic properties at room temperature have been identified: iron, cobalt, and nickel. Now, thanks to a discovery from the University of Minnesota, we can add a fourth member to the list of ferromagnetic elements — Ruthenium. Researchers at the University of Minnesota report their experiment that demonstrated ruthenium to have “unique magnetic properties” at room temperature. It took researchers two years and some advanced techniques using nanosheets made of Ruthenium grown on special substrates to coax it into a ferromagnetic phase. Synthesizing a new room temperature single magnetic element would spur investigative research into the hidden magnetic properties of other chemical elements. “This work will trigger magnetic research community to look into fundamental aspects of magnetism for many well-known elements,” said Jian-Ping Wang, one of the research team members. This would also create a new interest in permanent magnets that were first scientifically discussed by physicist William Gilbert all the way back in 1600. Permanent magnets like iron are ferromagnetic materials which, once magnetized, retain a certain magnetic state. Applications of the magnetism phenomenon have diversified considerably in the last century. Today, magnetic elements enter in a wide range of applications, such as computer science, electronics, sensors, memory devices, and other modern industrial uses like spintronics. The findings of the study were published in a paper Nature Communications. Do you think researchers could use these methods to find other magnetic elements or materials?